Freight Rate Central believes in making every shipment as important to our delivery specialists as it is to you. Air-ride suspension shipping services are the ideal way to ensure your very important packages wing their way to their destination in exactly the same condition they were in when they were first loaded up. As a freight logistics company, rather than an independent carrier, FRC is a specialist in joining up journeys, focusing on making the experience for you, the customer, as simple, smart and efficient as it can be. While you can get a tailor-made online quote instantly, whatever the time of day, we also have an experienced team happy to help customers with advice. Call our team now if you need same-day shipping service or a specialized carrier, or if you have complex pick-up or delivery locations. Logistics is our business and problem-solving is our passion. “Air ride vans,” “air-assisted suspensions” and “air-ride suspension shipping” all mean that the trucks used for shipping feature a suspension system that uses a compressor to inflate a bellows-like air spring for a smoother, more consistent ride. Electronic controls in air-ride vans mean the suspension system is self-leveling, which ensures that cargo is kept flat and stable throughout its journey. Just as you’d expect from an automobile with an air-ride suspension, vans with this feature offer a journey with fewer lumps and bumps, therefore reducing the chance of your freight being jolted or damaged in transit. While good packaging is still the most important factor in how well your goods ship, air-ride vans offer an extra layer of peace of mind for anyone shipping delicate cargo. Not only do air-ride vans ensure a smoother, more level ride, they also mean the height of the load on the truck can be fully adjusted. For example, the truck can sit higher when crossing rough terrain. Modern air-ride vans are also hugely responsive, so they can be adjusted to the demands of changing weather and road conditions. Air-ride vans can be easily lowered or raised to help with loading and unloading, especially where there is no conventional loading bay available. With Freight Rate Central, there is no need to worry about the size or weight of your items, either. FRC can help with any shipment, from 100 pounds to 100 tons, and as well as offering air-ride carriers to ease the journey, our fantastic customer service team will make your entire logistics experience as smooth and hassle-free as possible. Give our team a call at 855-372-7447 if you have any concerns or queries about pick up or delivery or about packaging your shipment. 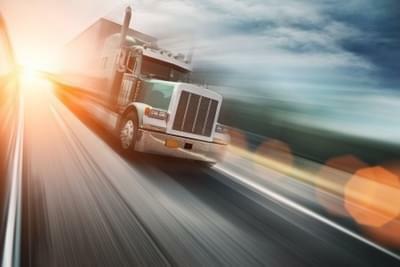 Freight Rate Central has negotiated competitive contracts with over 100 major carriers to offer our customers superior service and great rates, whether the delivery and pick-up is residential or commercial. Our nationwide team of independent carriers can handle any shipment, even if it includes the use of air cargo, truckload, LTL, intermodal, dry van, refrigerated truck, or flatbed trucking methods. It doesn’t matter if your company specializes in one product or thousands of different products, FRC has the means to transport your cargo, even if you have special requirements. As if our versatility and customer service weren’t enough, our rates are the best in the industry. See for yourself by going online to get your free freight quote, instantly. You won’t have to wait for a customer service representative to call you, either, as our unique online quotation system will check our rates and carriers to provide an instant quotation, based on real-time information, whatever your shipping needs. 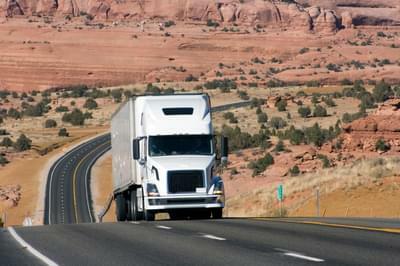 Working with Freight Rate Central is a hassle-free experience all the way around! 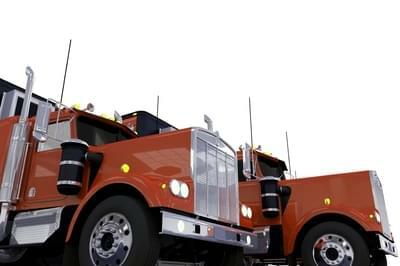 If you feel an air-ride van might not be the best option for you, view FRC’s complete list of trucking trailer types online to look at the other alternatives methods of transportation we offer.